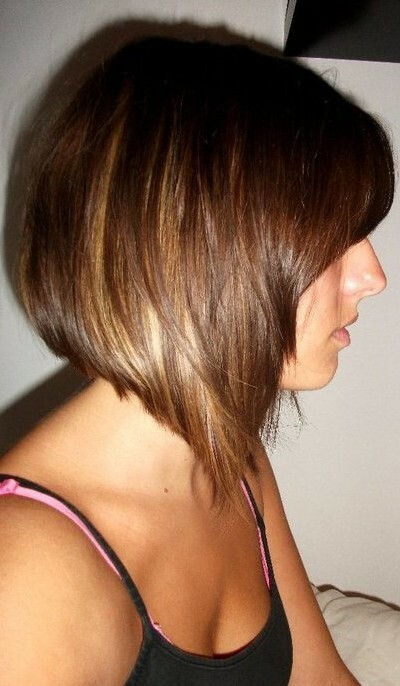 Here’s a fabulous makeover style for long hair that needs some contemporary style. The long layers are expertly graduated from the lightly stacked nape into a steep, inverted angle sweeping down to the longer layers around the face. The lovely warm brown is highlighted with the latest golden-blonde shades, starting below the top section, in beautifully-blended colour harmony that shows the fabulous movement in this trendy haircut!